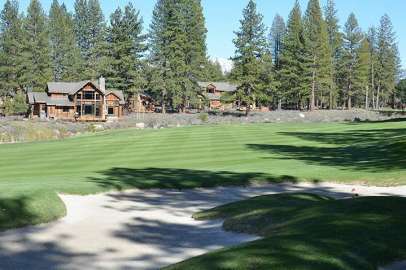 Surrounded by 600 acres of towering pines, the Old Greenwood development offers a four-season resort experience that sits along Tahoe’s only Jack Nicklaus Signature Golf Course and offers a range of amenities and activities. In addition to the renowned Golf Course, Old Greenwood offers a fun-filled outdoor swimming pool, Tennis & Fitness Center and membership access to Tahoe Mountain Club. Members of this exclusive club are granted access to communities beyond the one in which you live, such as Old Greenwood, Village at Northstar, Grays Crossing, Wild Goose, The Highlands and Schaffer’s Camp. Single family homes, condominiums and 1/17th shared ownership in 2 and 3 bedroom condominiums and luxury 3 and 4 bedroom cabins are available along the course. Typically, shared ownership properties are used 3 weeks a year, but the “spontaneous use” option is also available – if a residence is available, use it on a moments notice at little additional cost.